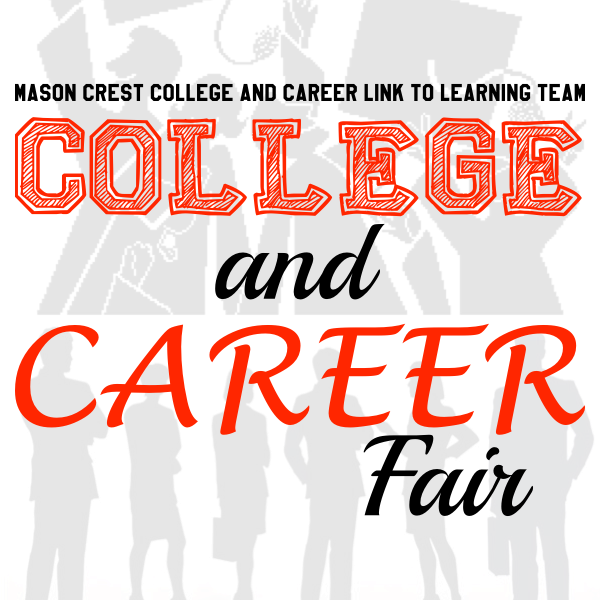 The Mason Crest College and Career Link to Learning Team we will hold the College and Career Fair on Friday, June 12 from 9:15 am to 11:15 am in the Mason Crest Elementary School gymnasium. The goal of this event is to raise awareness amongst the students of Mason Crest about higher education and the opportunities that can become available to them when they earn a college degree. During the event, career fair volunteers will be set up at tables around gymnasium and the students in grades four and five, who would love to learn more about the careers they dream about, will have the opportunity to go from table to table to ask questions about the volunteer’s careers and the path that got them there. If you are currently working in a career that you love and would like to talk to our students about it, then please email Kimberly Lord at krlord@fcps.edu or by phone at (571) 226-2691.